You want your kid's birthday was special? 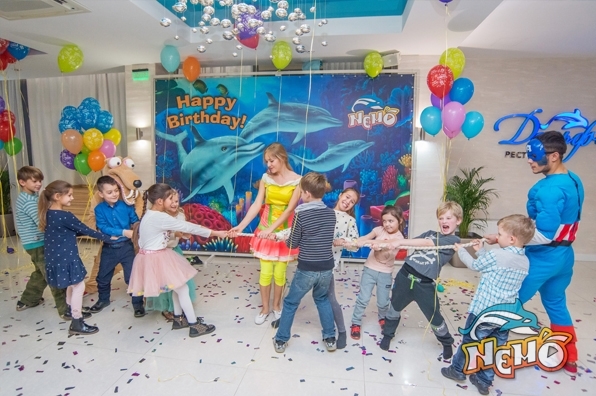 We are happy to help organize an unforgettable holiday for your kid. 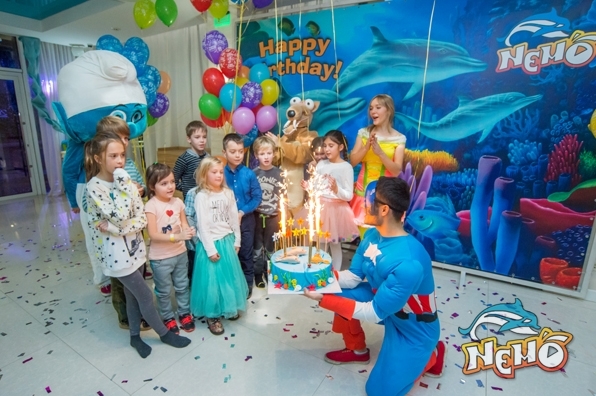 Birthday in the dolphinarium will be a real adventure for children. 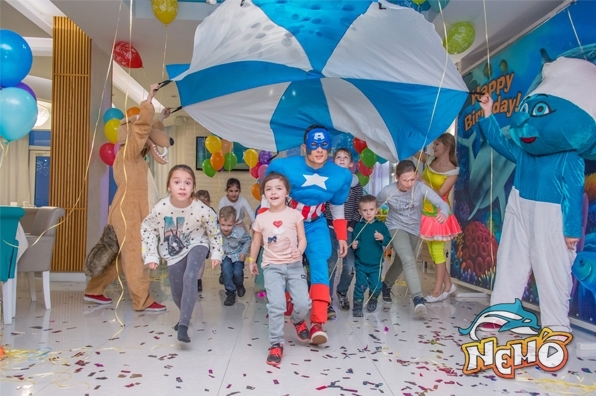 Friendly dolphins, funny animation program, akvagrim, a fascinating trip to the aquarium and a visit to the show, as well as a banquet table with a variety of delicious dishes for children and adults. 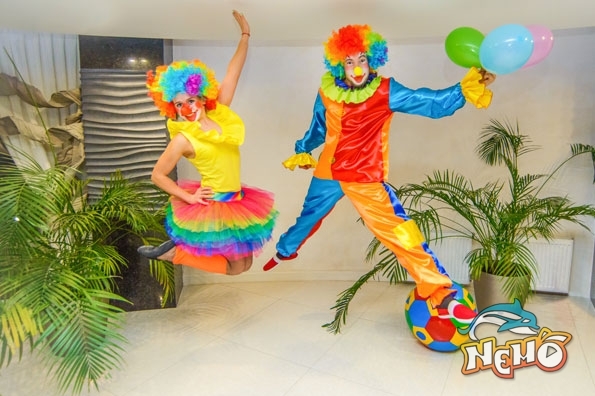 You only need to decide and choose from the range of services provided by us, and we will make sure that your kid's birthday was bright, colorful and truly magical! 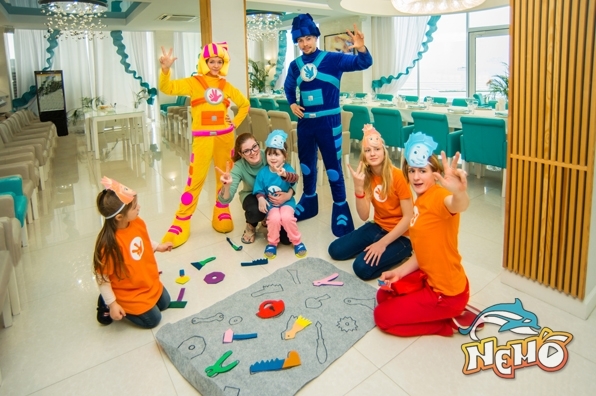 Give your child an unforgettable experience and the joy of communicating with dolphins! In this day you want to give your child the best of everything! 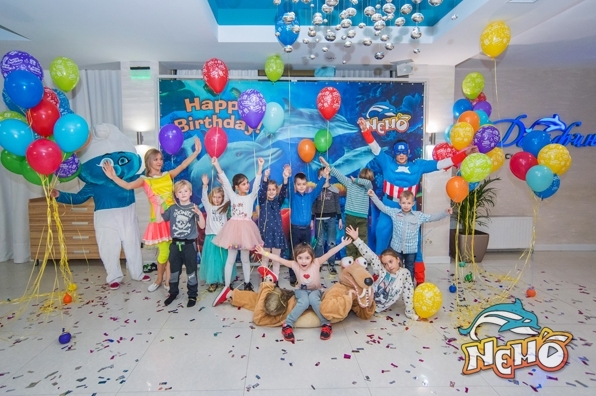 Our professional animation team will make children's holiday a truly magical and unforgettable! We offer various animation program depending on the age, interests and wishes. The mysterious underwater world is fraught with many secrets that have to reveal birthday and his friends. 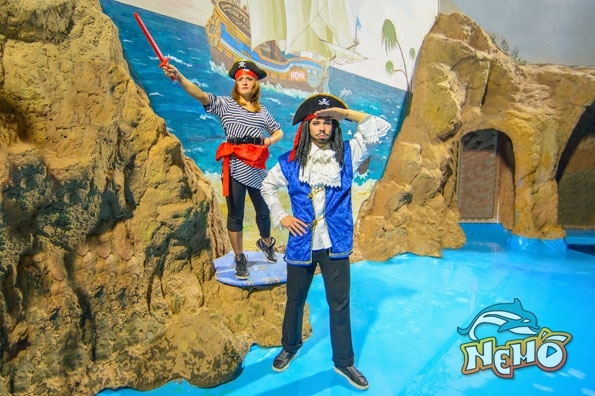 They will present the maritime realm, where they are waiting for an incredible adventure, become familiar with its inhabitants and the main patron of the sea and ocean depths - Neptune! Accompany them to be charming Mermaid, which, together with Neptune has prepared interesting tasks with which the children have to face. The reward for the effort will be a real treasure every birthday. • group photo with the animators (on your camera). Program with elements of quest. The program is suitable for both boys and girls. *Entertainment programs will adapt the story for the age of the birthday child. Every boy with childhood dreams to be a dashing cowboy or a brave Indian. And every girl sees herself in the role of a beautiful lady surrounded by the brave defenders and the bandit, which is a match for the men, racing on horseback across the plains. Courageous cowboys and brave Indians expect of attractive and intriguing adventure in a world filled with danger, adventure and romance. • common photo (by your camera). The program is held in the format of the competition. Fiksiki is the favorite cartoon of many boys and girls. It is recognized like one of most interest and informative cartoon film of modern animation. 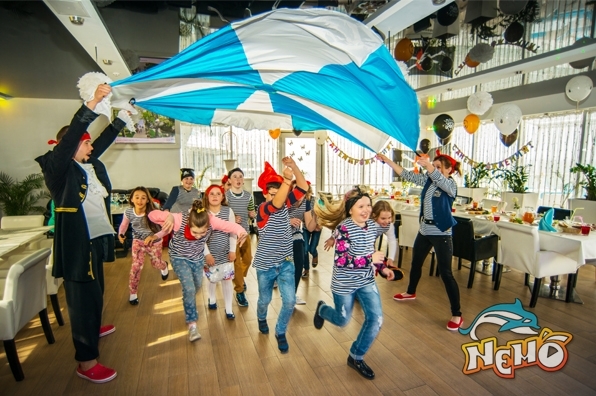 Birthday with Fiksiki is colorful suits, fun and active competitions, relay race, task for quickness and attentiveness. Birthday child with his guests must overcome some obstacles, check breaking and repair tools. • common photo with Fiksiki (by your camera). Program is appropriate for both boys and girls. 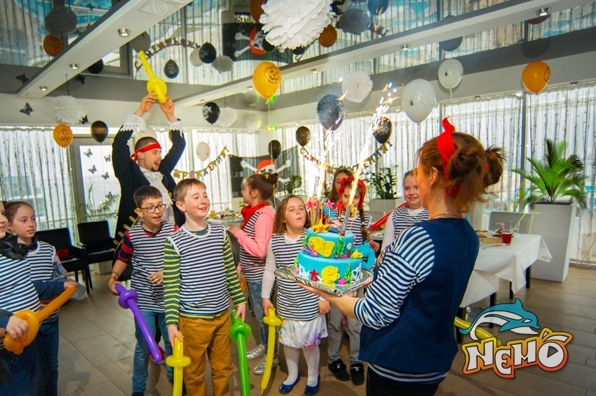 Child birthday by pirate style is successful choice for active and lively children. 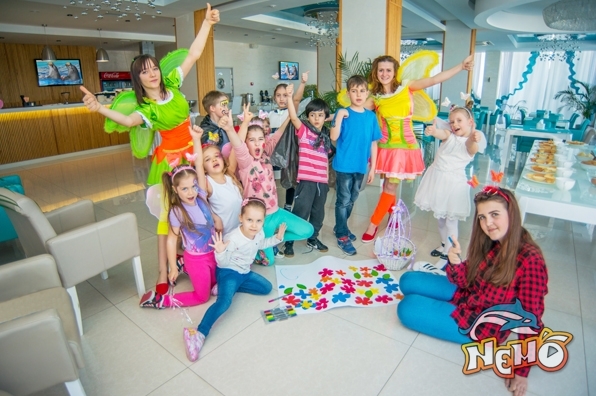 During program «PIRATE ADVENTURE» young helpers of pirates deal with initiatory rite with dressing up, active competitions, relay race, different test, overcoming obstacles, artful job and several other interesting adventure. In the end guys found the treasure and then pirate weekdays change in real party! • common photo with Pirates (by your camera). This is interesting program for James Bond fans! 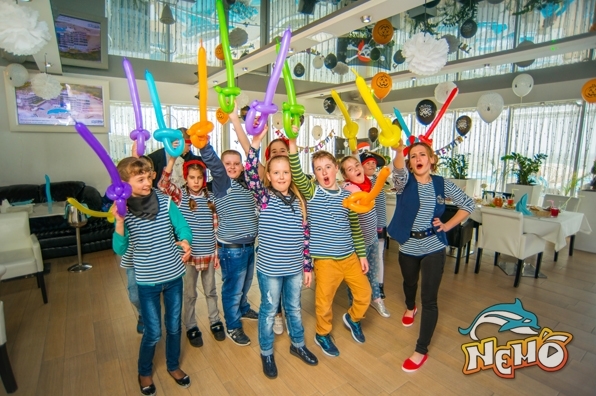 Our super secret agents for your child and his guests organize real spy quest with fun competitions and interesting task. Young spy will get task for quickness and attentiveness, physical force and staying power, agility and speed and also concealment and spy mini-quests with logics task. Doing control task guys can save the world! • common photo with Agent-007 (by your camera). 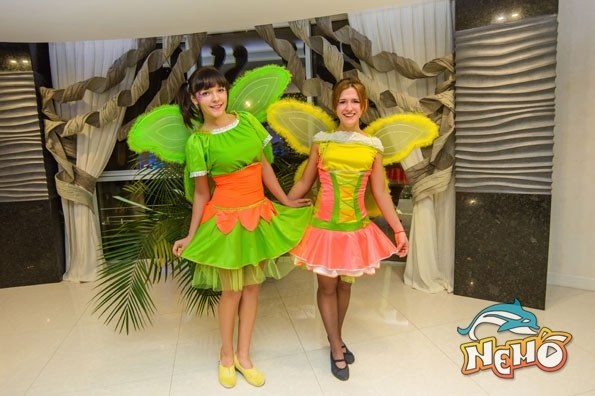 Fairy Winx is popular cartoon for girls that dream to occur into magic country! 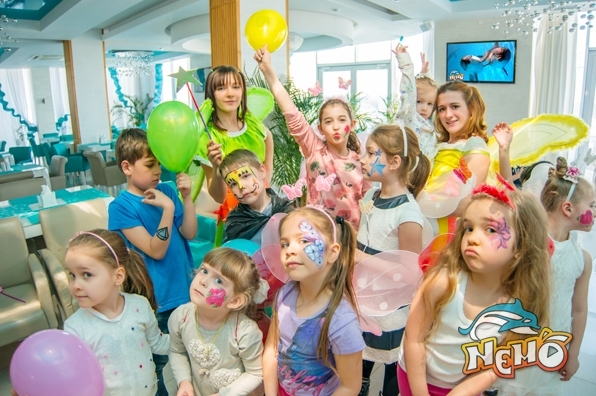 To become true fairy like Winx birthday child and her guests must do all tasks at Alfea School and pass exams. 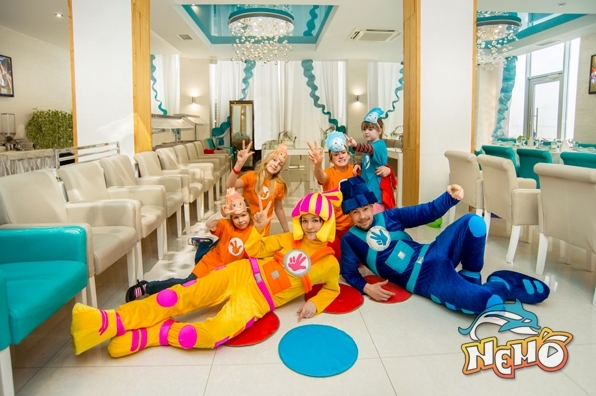 They will undergo different test, team games, flower relay race, fun competitions and interesting riddles. Future little fairy will know magic words and learn spell. • common photo with Fairy Winx (by your camera). Akvagrim – a water-soluble cosmetic paint based on glycerol. The paint is completely safe for the baby's skin. In addition the makeup resistant and will not stain clothes. Exciting cooking lessons for your kids. Kids will learn how to prepare and try a dish made with their own hands. Friendly dolphins jump to the platform to the kiddies. They can pat, leaving them balls and rings. 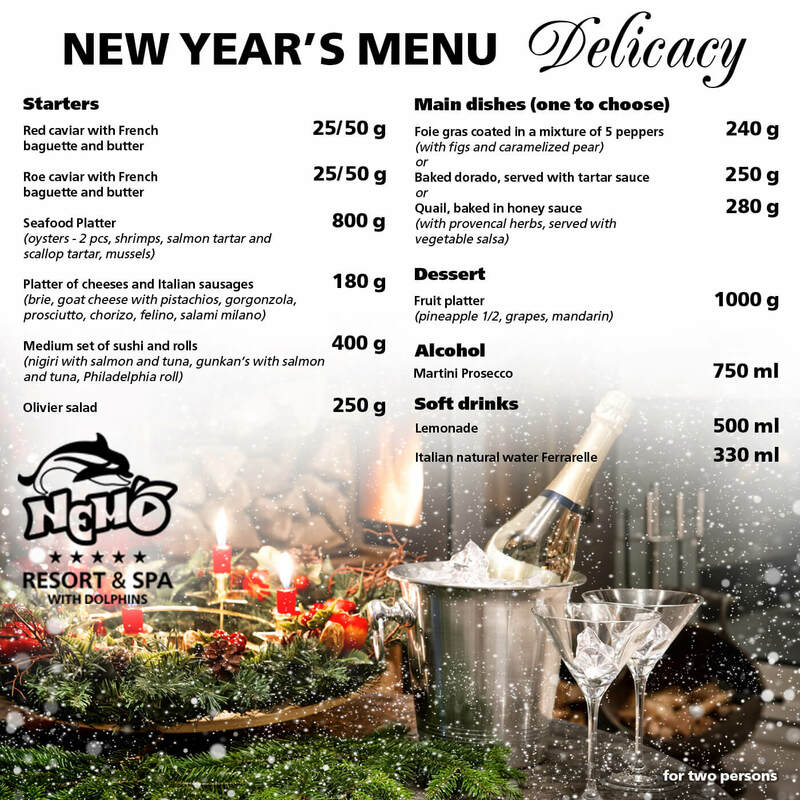 Swimming with dolphins - a charge of positive emotions and pleasant memories for a lifetime. Amazing dolphins your kids a ride on the backs and bellies. An unforgettable view of the dolphinarium with talented offshore artists. 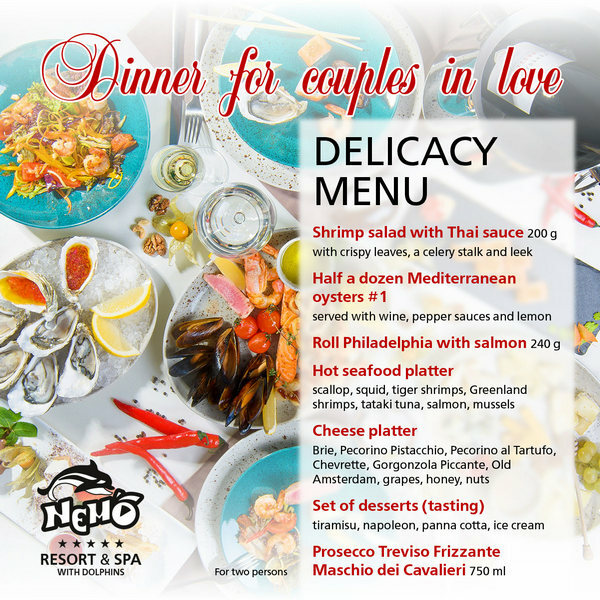 Amazing dolphins, funny sea lions and fur seals funny with their mentors perform incredible entertainment and beauty rooms. 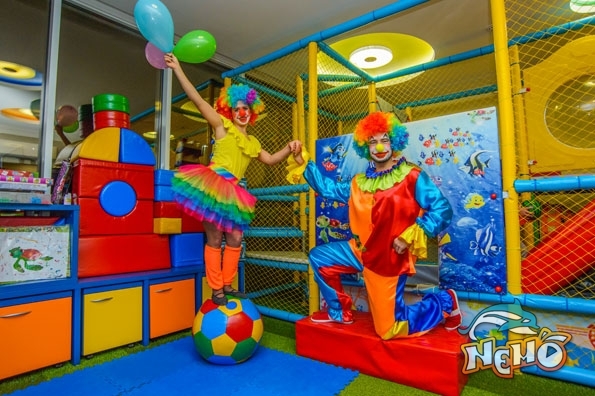 Walk on the ocean floor, admire the inhabitants of the coral reefs to see the life of the underwater world, meet the inhabitants of rivers, lakes, tropical forests and hot deserts, your kids will be able to in our aquarium. Also, the program includes a fascinating animal feed.